A first round match in the British Amateur Golf Tournament garnered unprecedented interest from press and public alike in May 1950. 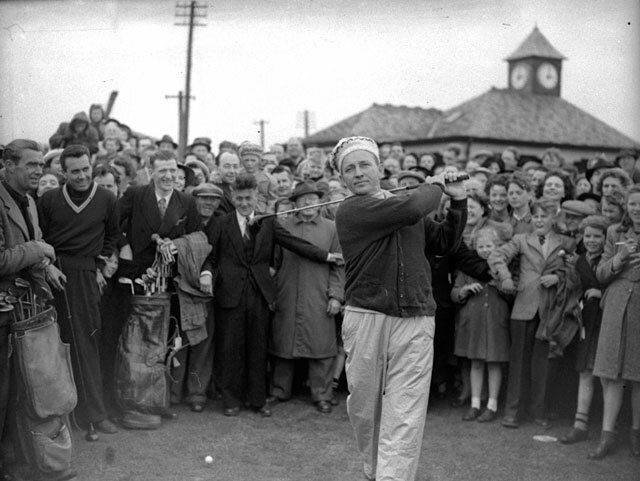 Thousands lined up on the Old Course, St Andrews, to watch J.K. Wilson, a building contractor from St Andrews, face Harry L. Crosby, better known to the thousands gathered as Bing Crosby. In heavy rain, Crosby lost his first round match to Wilson, who was described in the press as an ‘amateur crooner’ who ‘frequently vocalises at amateur theatricals.’ Film crews were on hand to record the event for newsreels, while newspaper reports emphasised the popular excitement generated by Crosby’s appearance. 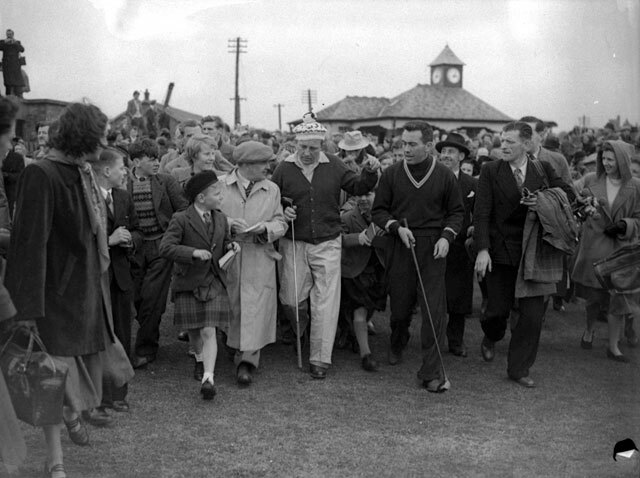 Sample headlines included ‘Golfer Crosby Greeted at Scottish Links by One Man and 2000 Giggling Lassies’ and ‘Crosby Loses Match, Wins British Fans.’ Crosby’s appearance in the tournament was followed a year later by his great friend, Bob Hope, who also lost in the first round of the tournament at Porthcawl, Wales. When Bing Crosby returned to St Andrews in 1971, he again played the Old Course with his old partner Jim Wilson. The two men, who had remained in contact, now discussed setting up a new tournament for senior golfers. In September 1972, Crosby was back once more and again played with Wilson. He was also now on hand to present the silver bowl to the winner of the Bing Crosby Trophy. The tournament continues to this day (played at St Andrews in September) and in 1995 was won by Sean Connery.